Siena Star Guard Marquis Wright suffered a podiatric stress fracture and is on recovery for as long as 6 to 8 weeks, unable to play in Siena’s games. Wright sustained the injury in late December during practice. Up until the injury, Wright “is one of just four players in Division I averaging at least 17 points, four rebounds, four assists and two steals per game,” and was given the title MAAC Player of the Week as a result of his double-double play in the game against St. Bonavanture. 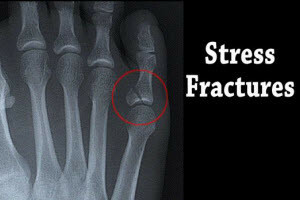 Podiatric stress fractures can become painful if left untreated for an extended period of time. If you would like assistance in treating a stress fracture, consult with one of our podiatrists from Foot HealthCare Associates. Our doctors will provide quality care for your feet.